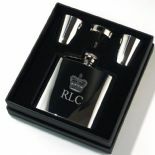 specialists in custom engraved, personalised jewellery, gifts and awards. 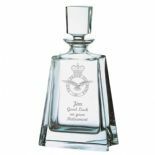 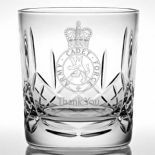 We are proud to be fully licensed by the MOD to engrave or print any official UK military crest or emblem onto our products, and we have licensed access to their library of high quality images. 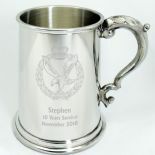 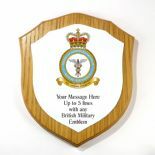 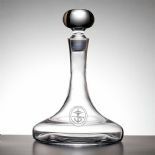 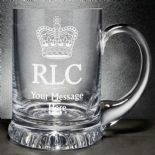 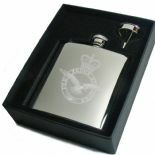 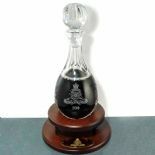 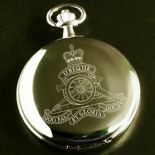 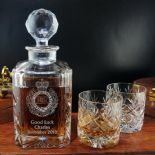 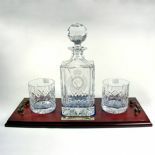 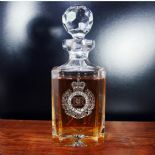 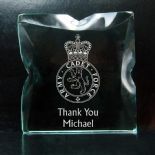 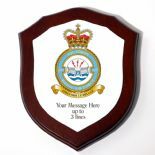 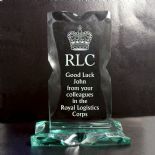 Our personalised UK military gifts will make a unique memento to say Farewell or Thank You to a valued colleague, mark a Retirement, celebrate a Passing Out or promotion, or as a special personalised gift for any British Forces Army, Royal Navy or Royal Air Force personnel including their regimental emblem, or Officers' Mess gifts. 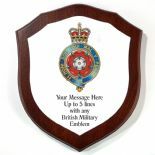 Browse these pages to choose your gift, which will be personalised with your UK forces British Army, RAF squadron or Royal Navy crest, badge, emblem or insignia, own special message.